Throughout the country, urban farming is growing in popularity and is gaining a tremendous amount of momentum and support. In fact, most new young farmers today are emerging from large cities across the United States. Not only are urban farms producing new farmers, they are training future entrepreneurs and generating stewards of our environment. 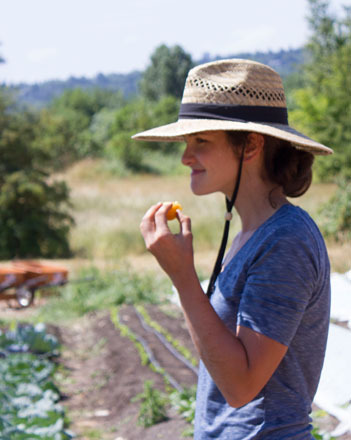 The UW Farm on the University of Washington campus is a successful example of how one farm is promoting community, education, and caring for the earth, while producing a healthy organic harvest. The catalyst for starting a farm on the University of Washington campus was ignited in 2004 on a small one-third-acre plot along the southeast corner of the botany greenhouse on the main Seattle campus. Biology professors Alan Trimble and Jennifer Ruesink, along with graduate student Beth Wheat, spearheaded the effort with the goal of promoting sustainable agriculture. With help from the greenhouse staff and student volunteers, growing beds and cold frames were established and the first seeds were acquired and sown. 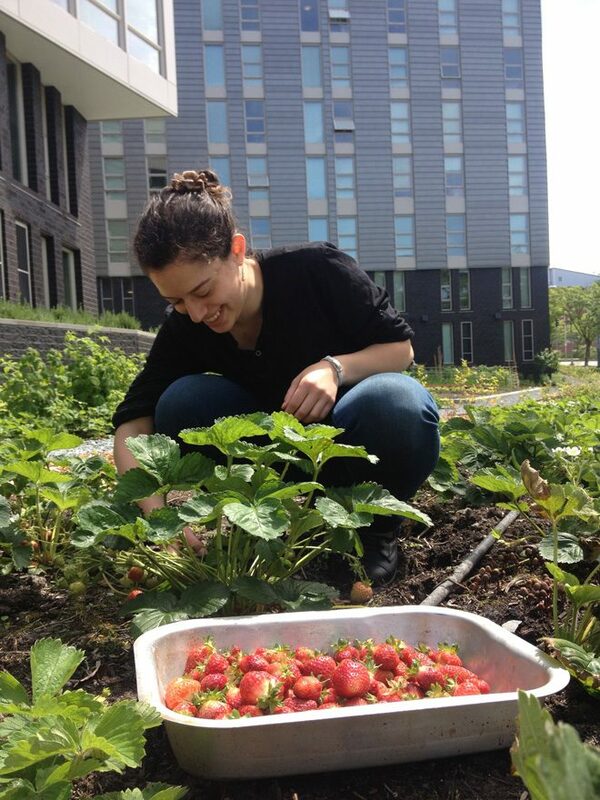 As word got out that food was being cultivated on campus, interest in the farm expanded. Soon, lunchtime lectures, greenhouse workshops, and ongoing work parties were organized. A cob oven was built, and relationships developed as volunteers invited friends and classmates to share fresh-cooked pizza topped with the season’s harvest. In 2011, the farm secured a second site and collaboration began with Seattle Tilth, a well-known, non-profit organization that promotes environmental stewardship through sustainable agriculture. 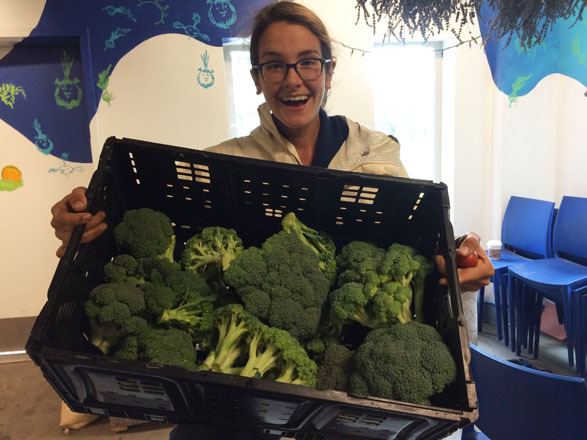 In 2010, Seattle Youth Garden Works, another successful program with a similar mission working with under-served youth, merged with Seattle Tilth. Today, these organizations, together with the university work a 1.3-acre site in the picturesque Union Bay Natural Area at the UW Botanic Garden Center for Urban Horticulture (CUH). The property was once the site of the Seattle city dump and most of it is an ongoing restoration and research area. But following rigorous site assessments and soil testing, a large portion of land on the northeast side of the property was determined safe and unaffected by the former landfill. The land was prepared and a new home for the UW Farm emerged. As the farm at CUH took root, new student housing on campus offered another venue for expanding the UW Farm program. Green space at Mercer Court Student Housing was designed to provide student farmers the opportunity to get involved in producing fresh, sustainably-grown produce in a truly urban environment. Last fall, purple and gold (UW Husky colors) Triumph tulips were planted in anticipation of a spring 2016 harvest. Photo: Riz Reyes. 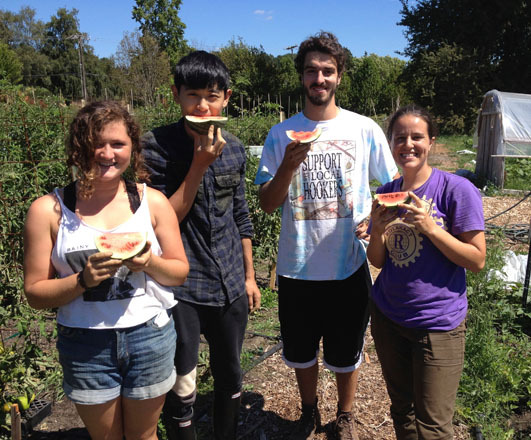 Since the establishment of those early beds and cold frames near the botany greenhouse, the UW Farm has evolved to meet the growing interests of students who are eager to intern and/or volunteer their time. A formal course in sustainable agriculture in the urban environment has been developed and is taught by Beth Wheat, one of the farm’s founders. Today, university students involved with the farm can earn course credit in a variety of interdisciplinary programs like environmental science, economics, health, landscape design, and horticulture. Grants, private donations, and ongoing support from other sources allow the farm to offer seasonal paid internships that combine educational aspects of urban farming with practical, hands-on experience. In addition to gaining knowledge and experience students, interns, and volunteers have the opportunity to share in the fruits of their labor. In 2014, a community supported agriculture (CSA) program began. Each week from June through October each CSA subscriber receives a share of the latest harvest, carefully packed in a box. Early in the season brings crisp and tender greens and freshly pulled and washed root crops such as carrots, radishes, and beets. Later harvests include flavorful heirloom tomatoes, unusual varieties of squashes, and often a second flush of early season favorites. The UW Farm also supplies fresh produce to multiple on-campus dining services. The remaining harvest is shared by those who helped to raise it or is donated to local food banks and shelters. As a horticulturist primarily focused on ornamental plants and after witnessing this surge in interest from aspiring young farmers and potential gardeners, I wanted to contribute my knowledge and experience with cut flowers. What’s a farm without flowers? Attracting important pollinators is critical to a farm’s success, but there’s also a potential monetary benefit to producing for the cut flower market. 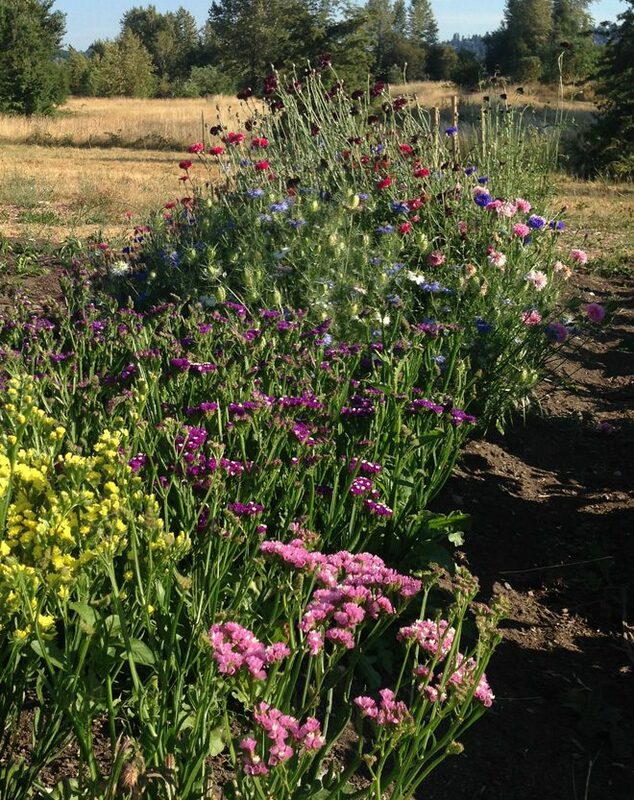 Last year, local gardeners and cut flower farmers helped UW Farm trial the idea with donated seeds and starts. By the end of the season, the Union Bay Natural Area was filled with rows of extravagant blooms and color like it has never seen before. An emerging “Slow Flowers” movement popularized by Debra Prinzing of slowflowers.com, advocates for choosing local, seasonal, organic flowers, and has spurred an ever-increasing demand from florists. Our first year of growing cut flowers was a rousing success. Should this endeavor expand, it could potentially introduce a whole new skill set and marketing strategy for the farm. Learn more, including ways you can support UW Farm by donating your gently used tools and other resources, at www.food.washington.edu/farm. Riz Reyes: What is a common misconception about an urban farm? Sarah Geurkink: Some people question the impact of a small urban farm; they think farms need to have significant acreage in order to produce enough yield to make a difference. But in fact, with our lone acre we are able to provide produce to almost 40 CSA families, numerous student farmers, and a couple of restaurants on campus. RR: What would you like gardeners and horticulturists who are primarily focused on garden design and ornamental plants to know about farming food? SG: Food gardening and ornamental gardening don’t have to be segregated. A flowering fruit tree is beautiful; neatly planted rows of lettuce, perennial herbs, or edible flowers can all add to a beautiful and aesthetically pleasing garden. The similarities are there and so is the foundation. And eating what you have grown is as rewarding (or more) as looking at it! 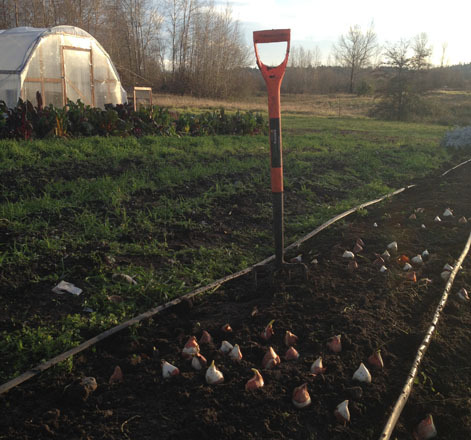 RR: Do you think the UW Farm is nurturing future gardeners? SG: Absolutely. Students are learning how to use their bodies to do stuff, and accomplishing tangible results. They see how preparing a bed, seeding and transplanting crops, and weeding, actually produces food that can be packaged up for our CSA members, donated to the community, or prepared and shared with one another. That experience is inspiring. I believe many of the students who work here will become lifelong gardeners (or farmers!). RR: Where do you see the UW Farm headed? SG: I hope to see the farm get more connected with the greater Seattle community, with student farmers becoming more engaged and active in our regional food system. I believe it is our responsibility to nurture the next wave of food producers—to recognize urban farming endeavors as a legitimate and, hopefully, successful career. With constant pressure for space and an ever-growing population, managing our food system in large urban cities has reached a critical point.